We are currently rated 4.18 out of 5 based on 163 ratings and 24 guest reviews. We enjoyed our stay, everyone was helpful and friendly. Only complaint was there was not WIFI in the lower level room we were in. We were told it was fixed but it was not, several times during our stay. . I would recommend this hotel. Most enjoyable stay.Would recommend hotel to others.Good food and value for money. Lovely food, rooms clean and comfortable. I was very pleased with my stay at the Fir Trees Hotel. We have friends in Strabane and Clady so it is convenient for visiting both. The atmosphere is very cozy and friendly. I stayed at the Fir Trees for a business break and I can honestly state that it was the best work stay I have ever had. The staff were helpful and the room was very comfortable. Would definately recommend and would definately return. Spent one night in the Fir Trees in September. It was a pleasant experience with efficient and friendly staff. I would stay again if necessary and have recommended it to others. Lovely hotel and great breakfast. Would definitely recommend to my friends & family. Excellent Value for Money. Staff were fantastic and the hotel is of a standard that could command much higher prices! 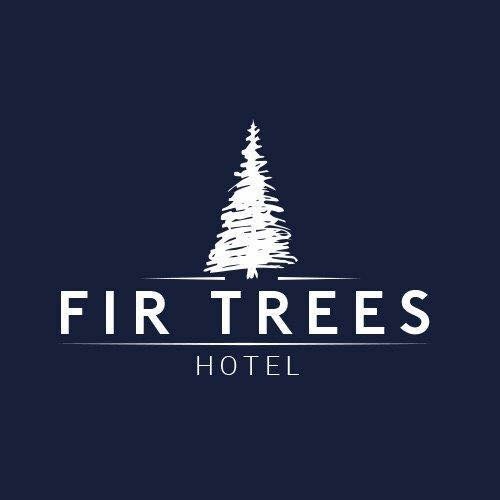 Thoroughly enjoyed my stay at The Fir Trees Hotel. Rooms were very comfortable & well presented. I found staff to be extremely helpful & friendly. The food in the bar was great & very good value for money. I would definitely stay here again & would also recommend to others. Everyone very friendly, excellent twin room - very clean and comfortable. Good hot breakfast each morning too. Room was of the standard expected for the price and the food was exceptionally good. We had a lovely stay, the room was big and comfortable. We enjoyed a great breakfast the next day and the staff were very friendly and helpful. We would use the hotel again. I enjoyed my stay at your hotel. It was a pleasant and welcoming stay. Very comfortable stay with good food all at a competitive price.